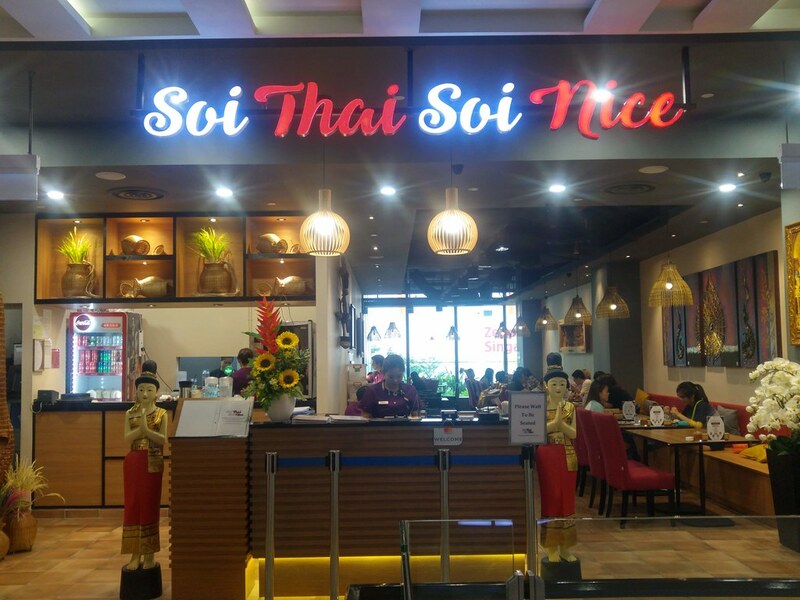 Known for their Royal Thai Hotpot, Soi Thai Soi Nice has opened its third outlet at JEM. 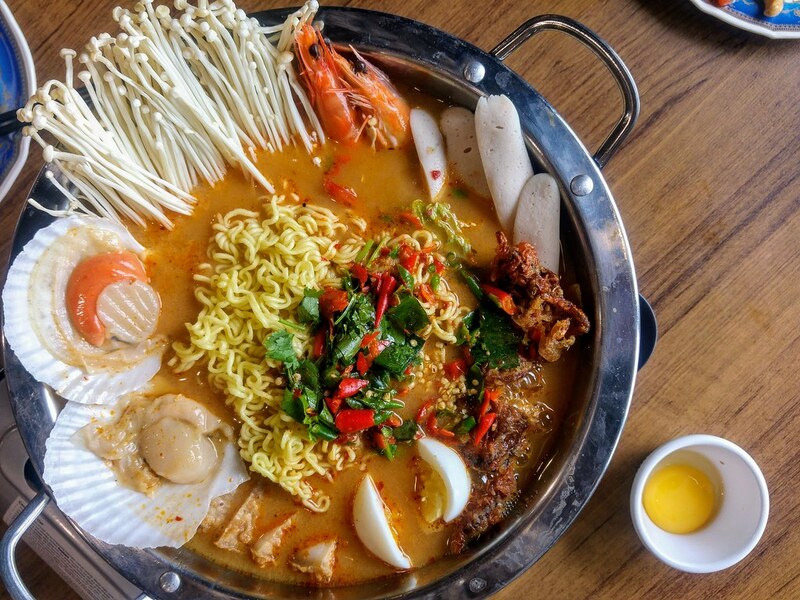 In conjunction with the opening of this new outlet, you will be introduced to more Thai dishes that are less commonly offered elsewhere in Singapore. 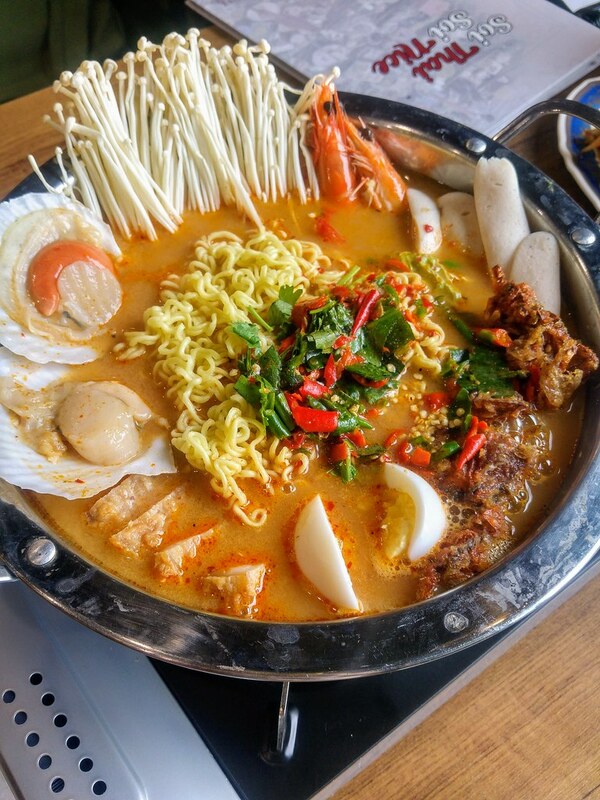 Bringing families and friends together is the Royal Thai Hotpot ($38.80 Small/ $68.80 Large). Like a Korean army stew, there are fried softshell crabs, sausages, cabbages, prawns, scallops, instant noodles, enoki mushrooms and egg. The Tom Yum broth has a good balance of tang and heat. What I really love about it is that the sourness that comes from the natural acidity of the lime, hence it doesn't leave a vinegary aftertaste. My favourite ingredients are definitely the mushrooms and cabbages that release bursts of tom yum flavours in every bite. I forgot to mention that their signature fried pork belly were in the hotpot as well! Albeit lacking the crunch, they were still quite yummy with fats. I wish the soft shell crabs could be left out though or make it optional. It doesn't quite make sense to me to eat soggy soft shell crab. Ideally, fried soft shell crabs should be presented on its own, such as in Soft Shell Crab Salad ($15.90). The raw greens and onions cuts the greasiness of the fried batter. The soft crunch of the fried soft shell crabs complements excellently with the sweet and spicy sauce. You will wonder why Thai sauces just seem to be able to make every dish moreish. 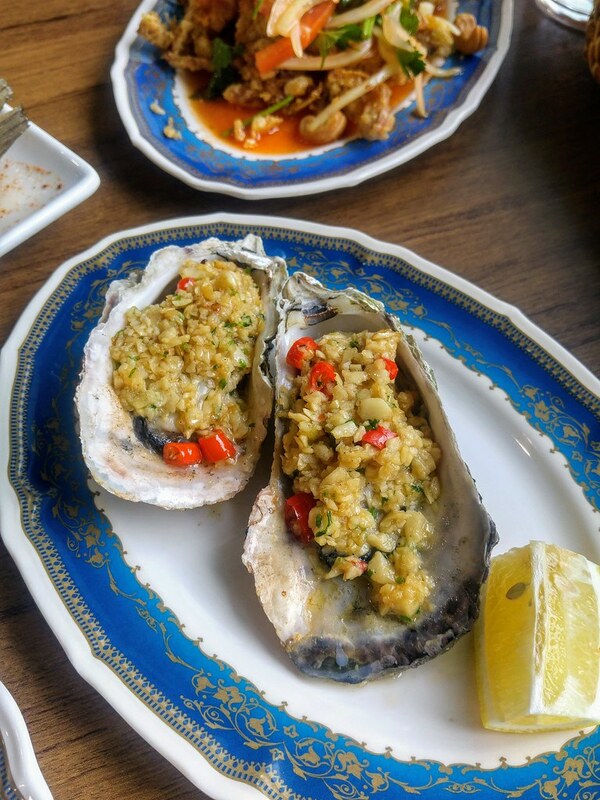 As a starter, Grilled Oysters ($3.90 per piece) is available, which is paired with garlic bits and fish sauce. Beware, it is really garlicky. 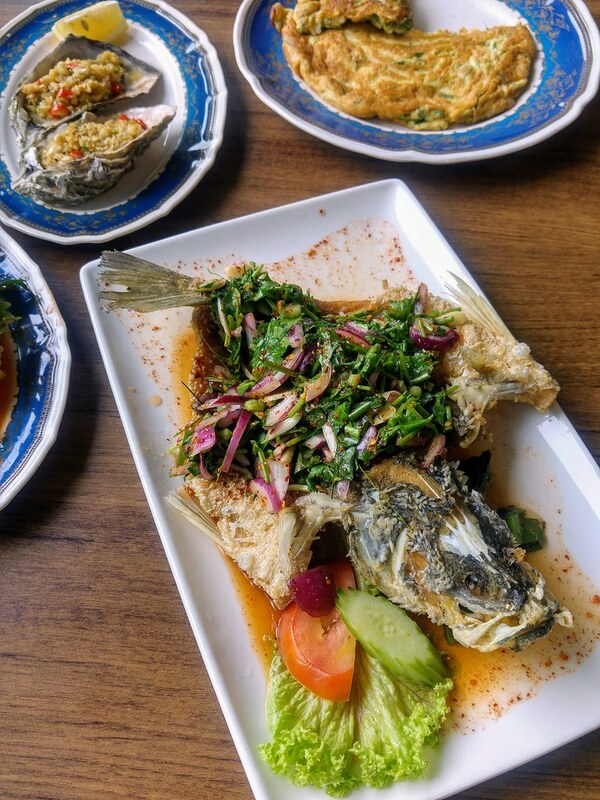 A new notable dish is this Waterfall Seabass ($32.90) which delights me with its clear, piquant spicy sauce that is not anywhere near those gluey and starchy sauce that drench the fish underneath. This homemade spicy sauce is bright, tangy with heat and yet it tastes clean in the mouth. I like how they dressed the fish with heaps of herbs which add freshness to every bite. The skinnier part of the fish was really crispy but some parts of the fish were too dry, stripping away its natural sweetness. 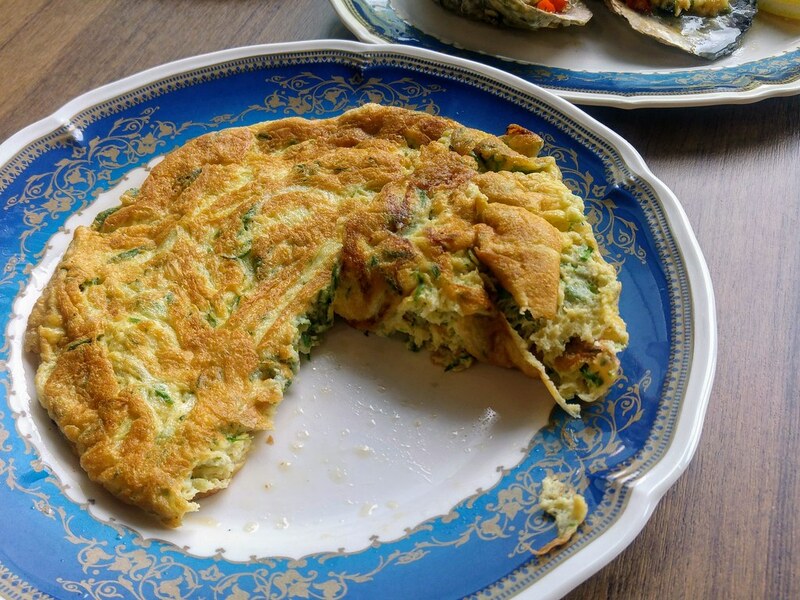 Their Cha Om Omelette ($11.90) was somewhat disappointing. I tried it elsewhere which was full of the Cha Om. I love the crunch and the combination of the egg and Cha Om was really good. This, however, has too little Cha Om to bring out that unique flavour of the herbs. We had an interesting dessert to round up our meal - Snowflake Yam ($8.90 Small/ $12.90 Medium). 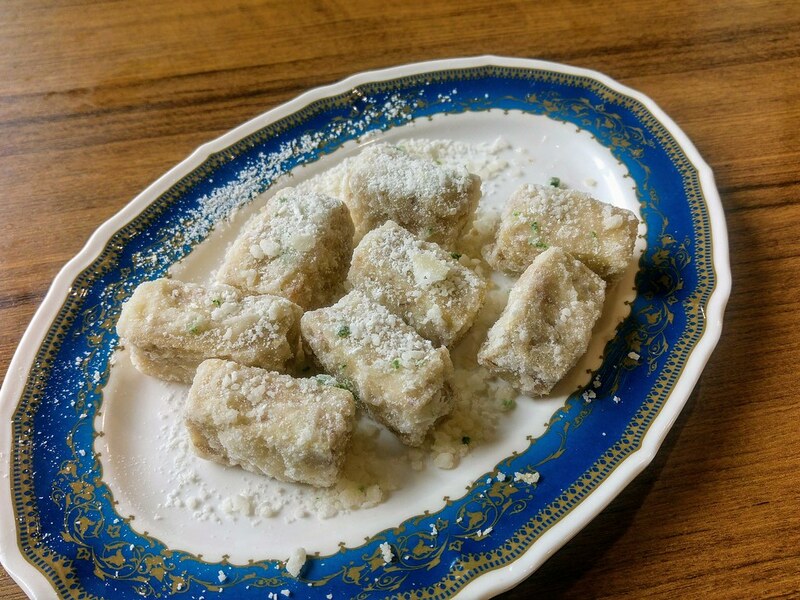 First the yam cubes are deep-fried and coated with sugar, then stir–fried to recrystalise the sugar to a sandy finishing. When I poked my fork through the sugar coating, I could see and feel how crusty it was. Cocooned within, the yam that was really soft and fluffy. It was a real pity that the sugar coating is really way too sweet. The sweet-savoury version from Putien is still my favourite. Coco Paradise ($6.90) is a beverage but I see it as a great option for a dessert. 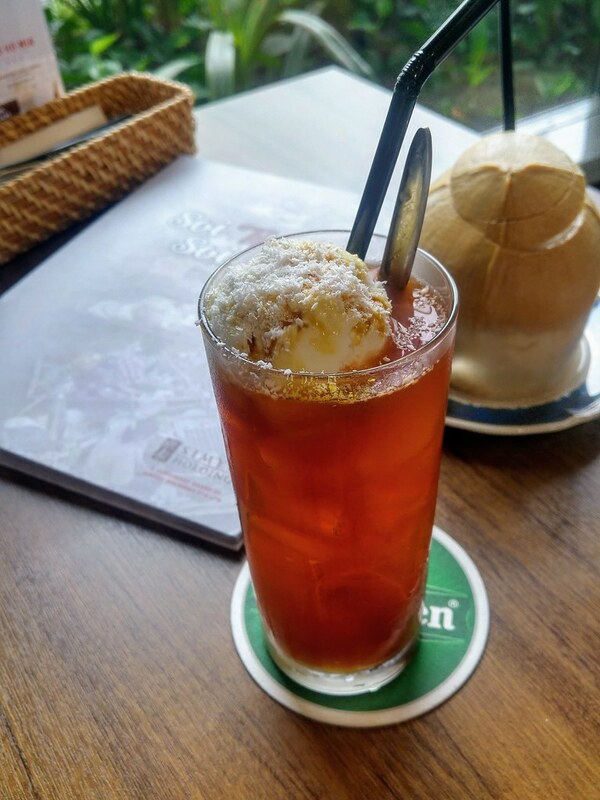 A ice Thai tea float with coconut ice-cream, a great way to beat the heat and cool your body down from all the stimulating food. 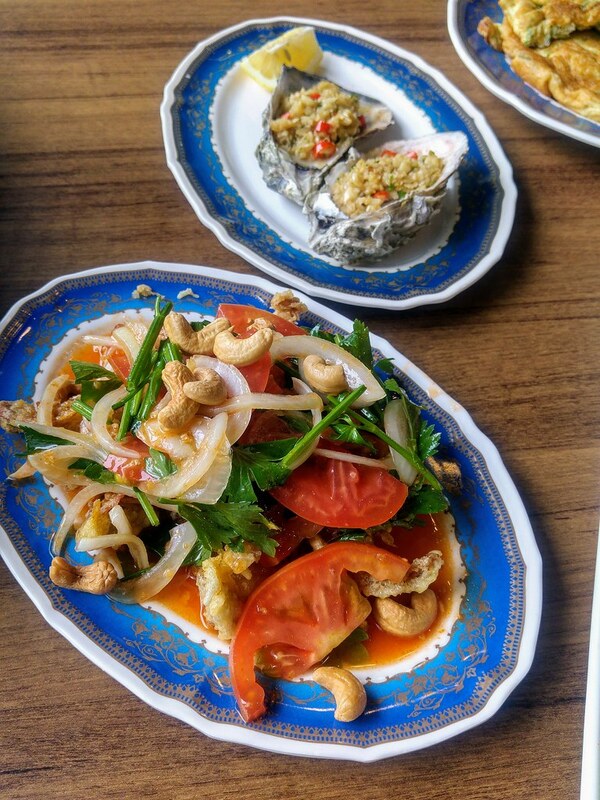 You can always fall back on those Thai dishes that your are familiar with but over here at Soi Thai Soi Nice, do try venturing out to some less commonly known dishes to whet your appetite.